There is something about having a creative space that inspires to get the creative juices flowing! 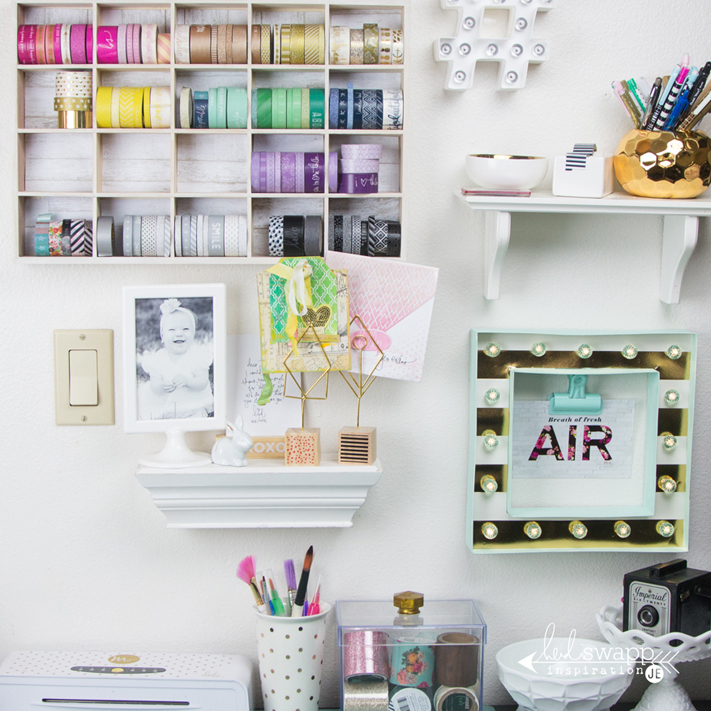 In my last post I shared how I created a gallery wall around my new washi tape storage. 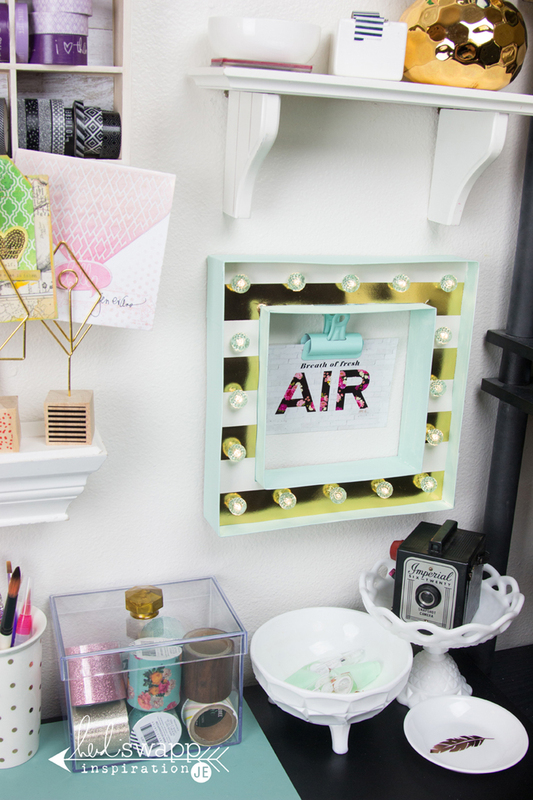 Today I am sharing my marquee frame. 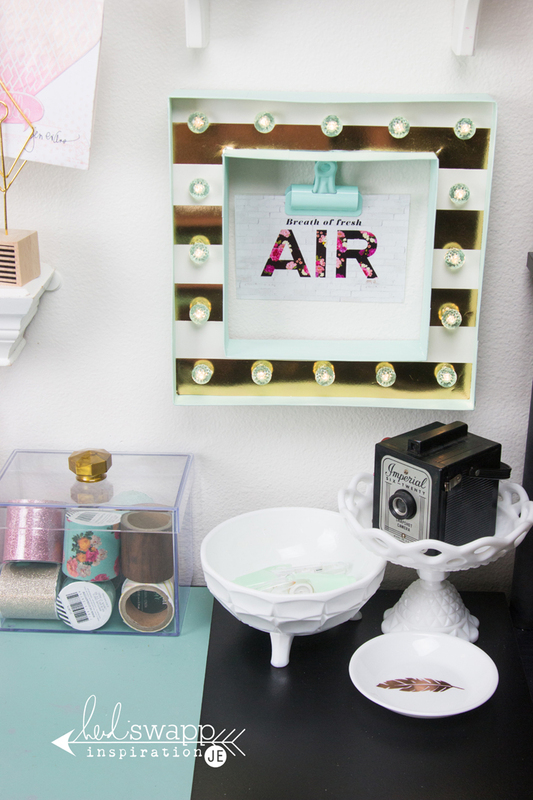 Today I am on Heidi Swapp's blog sharing the before and after on her new Marquee Love Frame. I love the way it turned out. I can switch out the quote from the bull clip to any reminders, notes, or even a card will fit to display! Create Well: Create a space that inspires to you to be creative!